Eastern Ninebark (Physocarpos opulifolius), commonly known as Ninebark, is a deciduous flowering shrub native to North America and the inspiration behind Ninebark Knits name. Its unique character changes throughout the seasons from white spring flowers to orangey red fall foliage to bronze peeling bark in the winter. Diablo Ninebark, a common variety found in most nurseries and gardens, is known for its purple leaves. Ninebark has flowers that emerge in dense, white clusters. This is a food source for the Northern Mockingbird and the Mourning Dove as well as various Hummingbirds. It is also a major food source for various moth caterpillars and the nectar feeds bees, butterflies and wasps. It thrives in moist thickets and along streams and grows to a size of up to 3m. Ninebark Knits values our natural environment. That's why we use all natural yarns and sustainable fibres. Native plants, like the Ninebark, play an important role in combating climate change. Recent studies show that the world's soils could store an extra 8 billion tons of greenhouse gases - up to 80% of what we produce by burning fossil fuels. Root depth is one of the biggest pro-carbon storage aspects of plants. 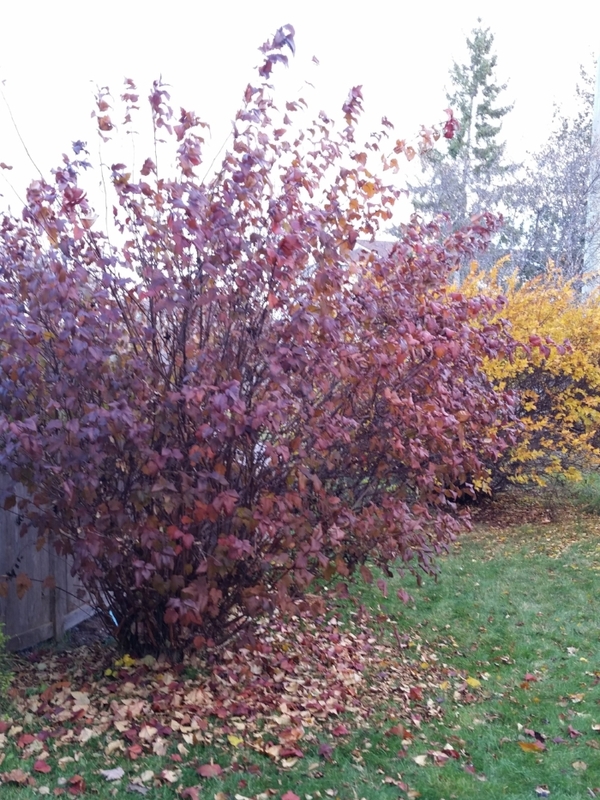 While typical lawn grasses go 3 to 6 inches deep, shrubs such as the Common Ninebark have reached depths of 15 feet! Let's all plant a couple more Ninebarks and buy some hand knits while we are at it!